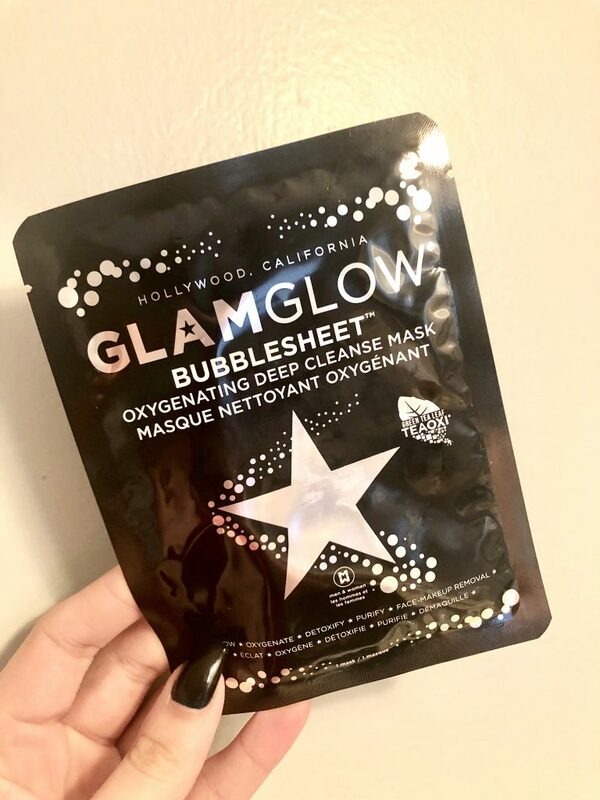 The first Face Mask Monday of 2019 is going to Glam Glow’s trademarked BubbleSheet Oxygenating Deep Cleanse Mask…say that 5 times fast. This mask is a tad different than your average sheet mask, because it’s a cleanser mask, not a serum, so you do need to wash it off after use. Don’t let the little bit of extra work deter you though- this is a must have if you’re looking to clear up a break out, or if you’ve hd a rough couple of days and need a total skin reset. If you are unfamiliar with the Glam Glow brand, take a minute to read through their About Us page. I’ve listened to a few podcasts with the founder, Shannon, and I love how this brand has come to be a staple, and a huge lifesaver, for so many people. I’ve used a few of their masks, mostly large samples, and I’ve loved everything I’ve tried. It was my first time using one of their sheet masks though, and just as I figured, I thought it was great! A while go I gave myself a little Ulta Haul…I didn’t go crazy, but I did pick up a few fun items. I was in desperate need of some bath bombs, and def not in desperate need of some sheet masks, but bought some anyway! 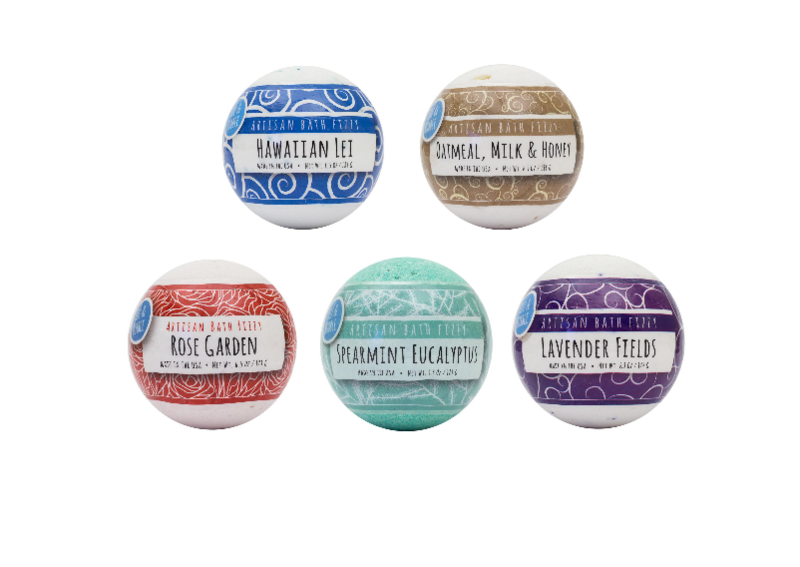 First up, the Fizz & Bubble Artisan Bath Fizzy bath bombs. I bought five, each one would perfectly fit any of my moods on a given night. First, I chose Hawaiian Lei, which smells like amazing spring & summer flowers. It’s so light and refreshing, perfect for a summertime bath. The second one I chose is the Oatmeal, Milk, & Honey which I think is perfect to have on the back burner just in case I get a leeeeetle bit of a sunburn this summer. These three ingredients will def tone down any burn I have, all in a nice & relaxing bubble bath of course. Third bath bomb up is the Lavender Fields which will be perfect after a long day, or the next morning after a long night. Lavender is one of my favorite scents, and this bath bomb smells so good! I love Neutrogena products- the quality is great, I see results when I use them, and most importantly they’re affordable! 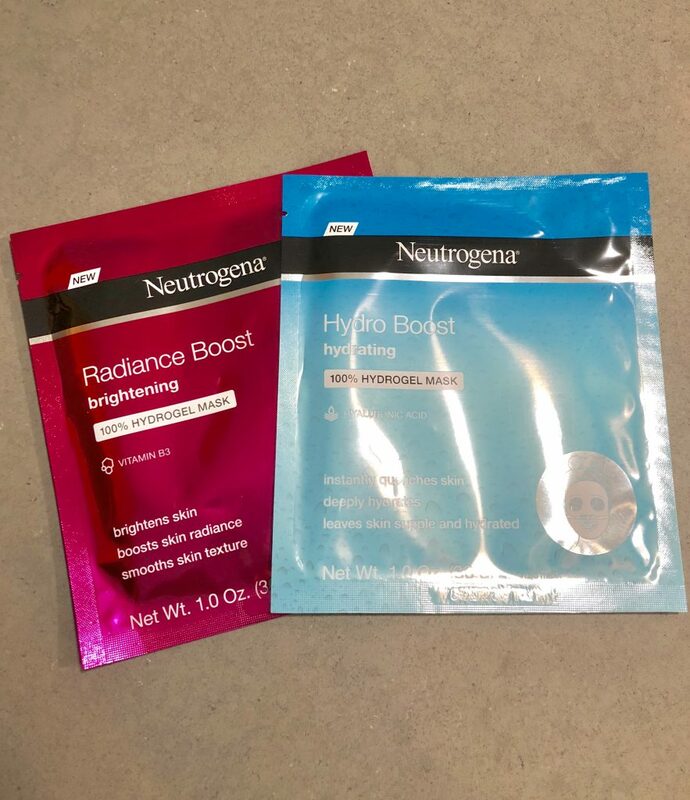 I jumped at the chance to work with Neutrogena on their latest It’s in the Gel campaign, focusing on their new 100% HydroGel sheet mask line. 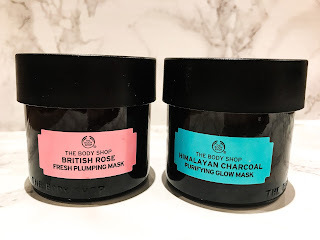 If you missed out on the first Face Mask Monday, be sure to go check out my thoughts on the first two Body Shop Masks I reviewed, the Himalayan Charcoal Purifying Glow Mask and the British Rose Fresh Plumping Mask. 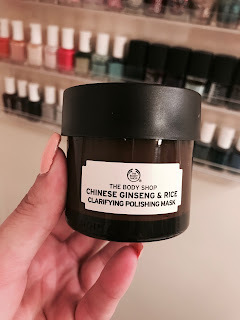 Today, I’m focusing on another mask from this collection, the Chinese Ginseng & Rice Clarifying Polishing Mask. This is a great exfoliating mask that doesn’t actually feel like it’s exfoliating, which is perfect for those that have more sensitive skin. The key aspects of this mask aim to reduce pore size and smooth the skin. 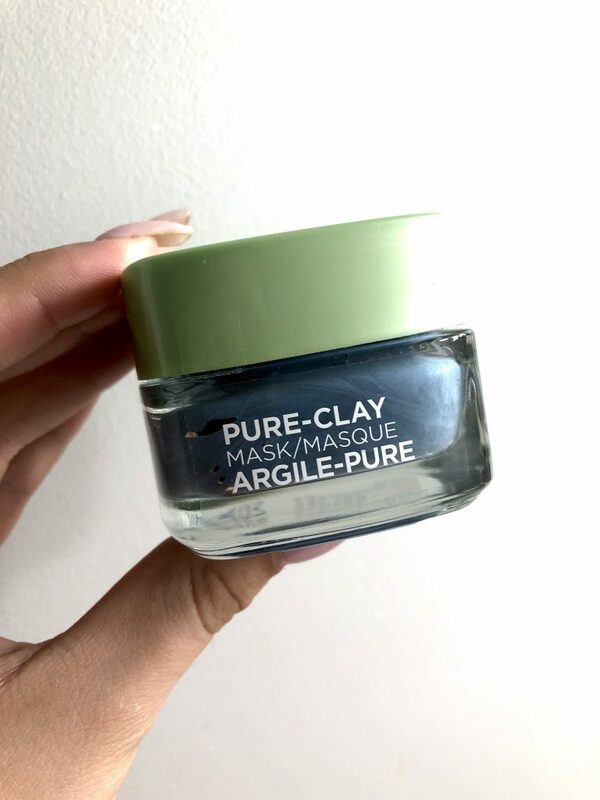 I was beyond impressed with the sight of my pores after using the Charcoal Purifying Glow mask, and since the Chinese Ginseng & Rice mask is more of an exfoliant, I noticed it def did its job of smoothing my skin and minimizing larger pores around my nose. As far as ingredients go, The Body Shop is known, and praised for, for it’s use of fair trade ingredients. The ginseng and rice extract comes from China, and the sesame seed oil from Nicaragua. 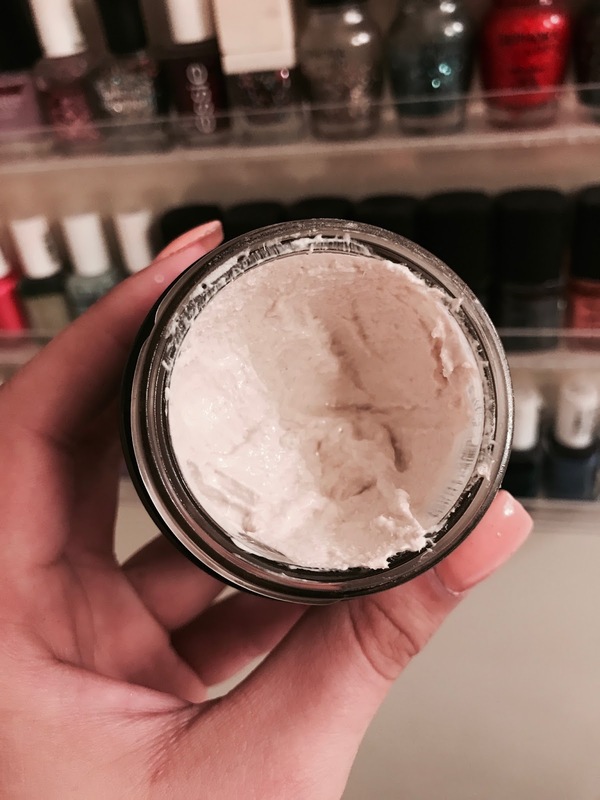 You get a great sense of the ingredients from the texture, and I apply it to my face after makeup removal, and drying. I once applied it when my face was a bit damp and it didn’t set as well as it had when my face was dry. I’ve left it on for about 15 minutes each time, and right before taking it off, I massage the mask into my skin, and focus most on trouble areas where I have slight scarring. The ingredients don’t scratch your skin, which I’ve experienced before and, obviously, is no good for sensitive skin. It really does just feel like a deep cleanse thats getting rid of any dead skin cells or leftover makeup/ dirt. Since the mask is a skin smoother, I think it’s a great option for lightening acne scars or dark spots one might have, a mask in addition to other skincare products can do wonders for getting rid of these annoying little things!! I might try to use this mask once a week so I can really track how well it lightens, but since my skin looks incredible after each use, I think it does have somewhat of an immediate effect. My next few Face Mask Monday’s will continue to feature The Body Shop face mask line, so stay tuned for the next edition! If you’re an avid reader of Love. Life. Beauty., or, if you know me, you’ll know I’ve been obsessed with The Body Shop’s face masks for years. I’ve owned every one they’ve ever had, and have always repurchased. Using The Body Shop masks are what started me on my serious face mask routine, I just couldn’t, and still can’t, get enough of them. 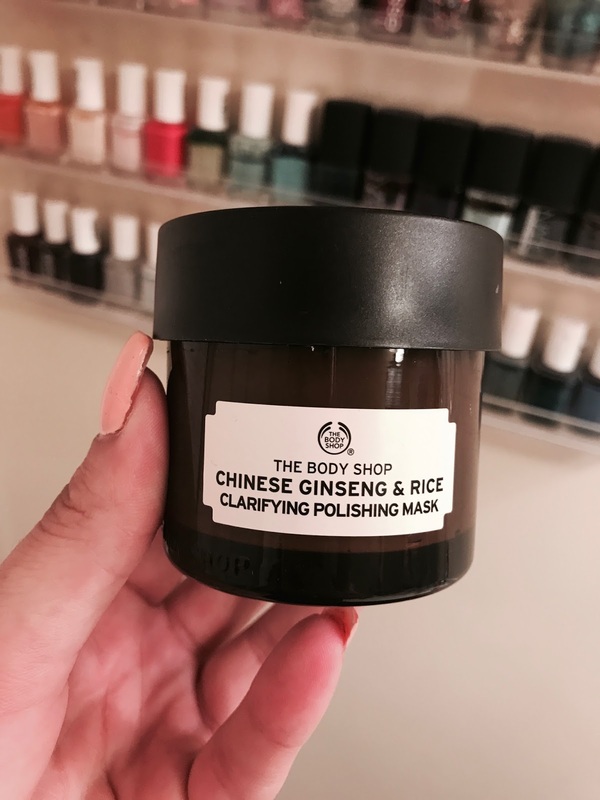 I was beyond excited when The Body Shop launched five new face masks, each geared toward a specific skin need, and ideal for multi-masking. If you’re unfamilar with multi-masking, it’s basically the idea of using more than one face mask at a time depending on your skin needs. For example, given the masks I mention in this post, if your T-zone/ chin area is oily, but your cheeks are more on the dry side, you may want to use two different masks on these areas, at the same time. I don’t always multi-mask, I more so use one, and then follow up with another, but I know the multi-mask phenomenon is real. The Body Shop was kind enough to send me a gorgeous box with all of the Expert Masks. When I opened the box, I immediately got right to it using the Himalayan Charcoal Purifying Glow Mask, which is a mud mask that exfoliates to help clear clogged pores and and remove any yucky toxins or whatever else we don’t want. 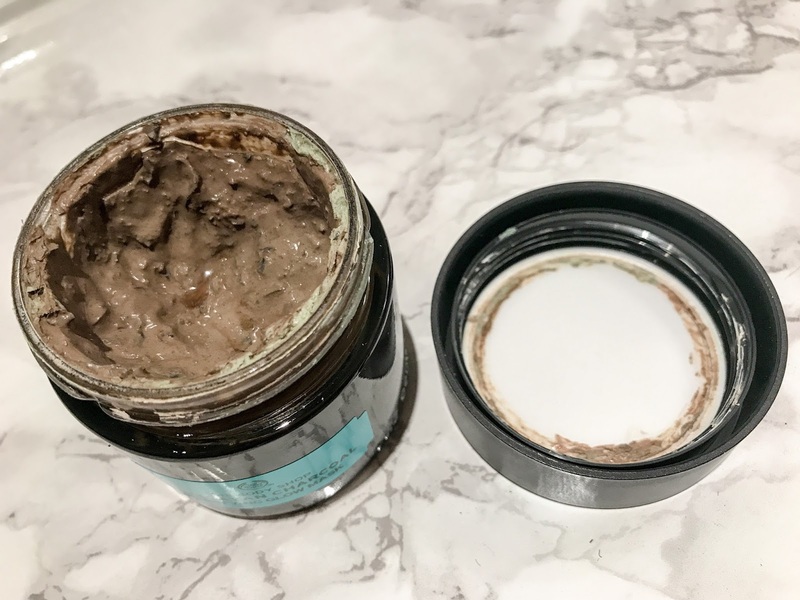 Mud masks are my absolute favorite, and this one is excellent. It applied perfectly, not too chunky of a texture, but also not thin which always make me think a mask isn’t good enough, or not doing its job to the full potential. The main ingredient is bamboo charcoal, which is a powerful charcoal when removing toxins from the skin. The sensation of the mask a perfect mix of the tree tea oil and green tea leaves ingredients. It tingles, but is refreshing, not annoying. I left this mask on for about 20 minutes, when I removed it I used warm water and a towel. It wasn’t difficult to remove, which is sometimes an issue with charcoal/ mud masks. My skin looked incredible once I took it off, I seriously examined the pores bridge of my nose, and they looked clear as could be, I was so impressed- it lives up to the Glow in its name for sure. Another option, for a more hydrating experience, is the British Rose Fresh Plumping Mask, which I have to say, looks like you have smeared strawberry jelly all over your face when applied. It’s a little startling, but so very worth it. The rose and aloe vera ingredients feel so cool and relaxing while you let it sit. A much different experience than the Charcoal Purifying Glow Mask, but still great nonetheless. 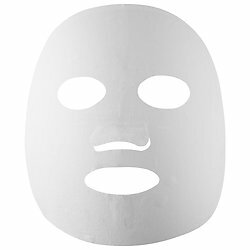 I have found this mask a bit more difficult to apply due to the consistency, but given the ingredients I think that is to be expected. Since I have rosacea, I’ve been using this mask most often when I’m experiencing a flare up, since it has such calming ingredients. The rose hip oil and aloe vera give a refreshing light scent, I wish I could just smell the mask all day! On my Spa Sunday’s sometimes I’ll do two masks back to back, especially if the first one is like the Charcoal Glow Mask or a deep cleansing mask. 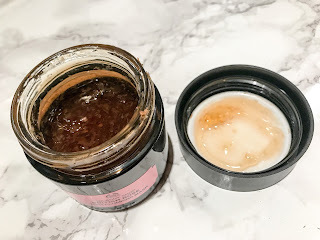 The British Rose Fresh Plumping Mask has been the perfect follow up mask to calm and hydrate my skin. 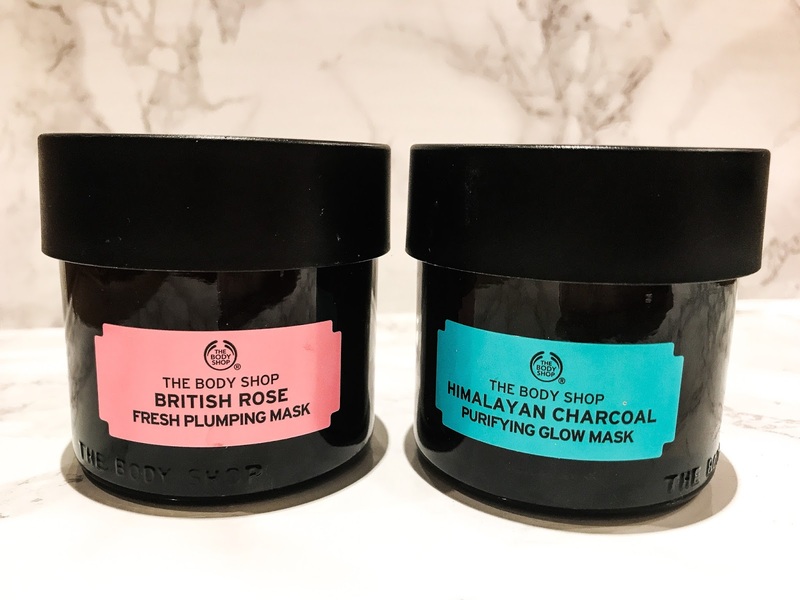 The price point of these Body Shop masks is a bit higher than what you’d find in Target or the drugstore, but these give both luxury and results. Also, if you want to try the mask out before making the full size purchase, The Body Shop now makes these in single use, which can be perfect for traveling too! Face masks are my thing, seriously my face mask collection is growing at a rapid rate, and I’m loving every minute of it. 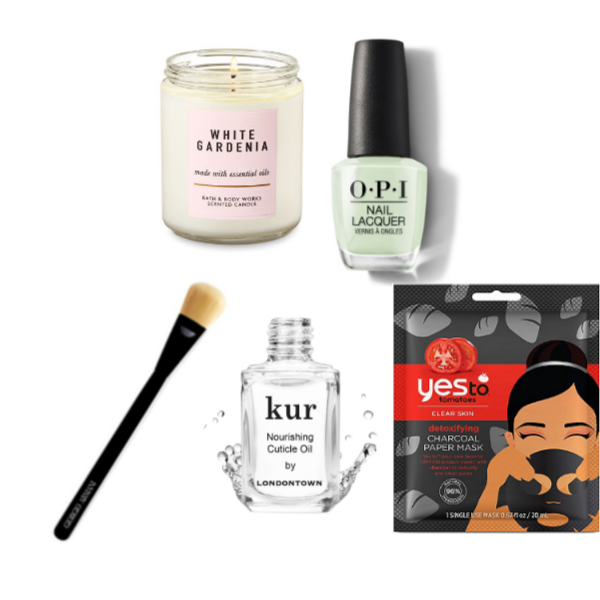 For me, the ritual of the face mask is the best part, whether it is a Tuesday night or midday Sunday, face masks are relaxing and give me time to pamper my skin. Sheet masks are having a moment, and it makes sense. The ease of pulling out a mask, already soaked in goodness targeted for your skincare needs, and the no mess clean up of it all is so appealing for women constantly on the go. Also, I’ve found sheet masks are totally addicting. I love searching through Sephora for some new masks to try, particularly Korean sheet masks, which are all the rage. I was so excited to try out a couple masks from When recently, I know Sephora & Ulta carries this brand, so it is crazy easy to obtain these masks (also, Anthro & Birchbox sell When online) and now that I’m branching into Korean skincare products it was perfect timing. Everything I had read about the quality of When the masks was positive, for example, they’re vegan, & they have a great variety of masks to target different skincare needs. Also, I love the bright & punchy packaging, they look so exciting to use! I was able to pick out two masks, so I chose Snow Magic, to brighten my skin, and 10:00 PM to replenish my skin. The When sheet mask leaves plenty of room for eyes & mouth while not being too big. All of the When face mask sheets are made from a fermented coconut juice, the sheets themselves feel better on my skin then other sheets I have used, and I found that for each When face mask the size and shape of the sheet was the best I’ve ever used. The fit of the mask on my face was perfect, I barely had to adjust it at all and it was so comfortable. The first mask I tried was the Snow Magic, I felt my skin looked a bit lackluster and blah, so I was looking forward to this brightening me up a bit. Ginseng and hyaluronic acid are responsible for refreshing the skin, while niacinamide works to brighten. I kept the mask on for about 20 minutes, it’s tempting to want to leave it on longer but I know that that isn’t always the best idea. I never had to adjust the mask at all, or worry about any of it getting into my hair, as I said, the sheet fit perfectly. When I took off Snow Magic, I was shocked by how magical my face truly looked. I was noticeably brighter the second I removed the mask, I was so impressed! 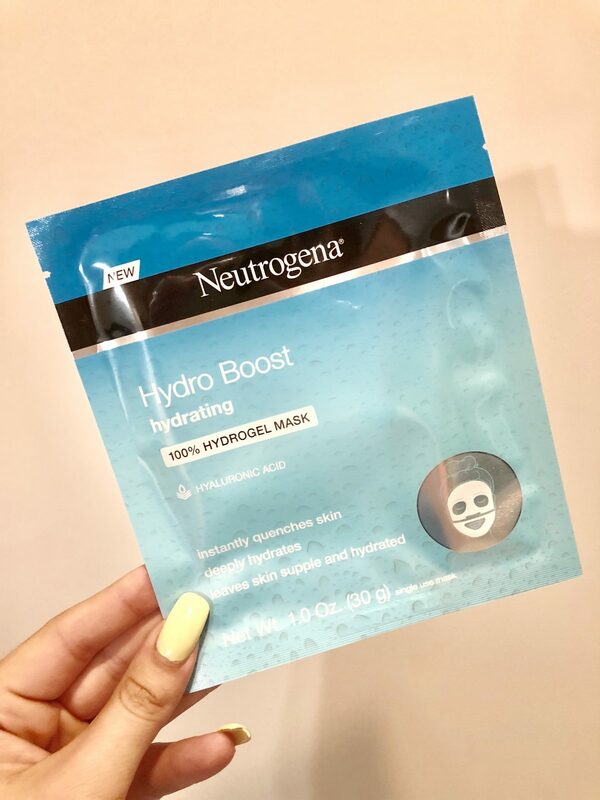 I’ve used quite a few masks that promise to and sometimes successfully deliver instant brightening, but this one, in a sheet mask, takes the cake for $7. I would def repurchase this and use it before a big glam night out to give my skin an extra oomph. The second mask I used was the 10:00 PM, designed to restore and revitalize tired skin. For me, that’s after a hectic teaching workweek…which is, just about every work week. 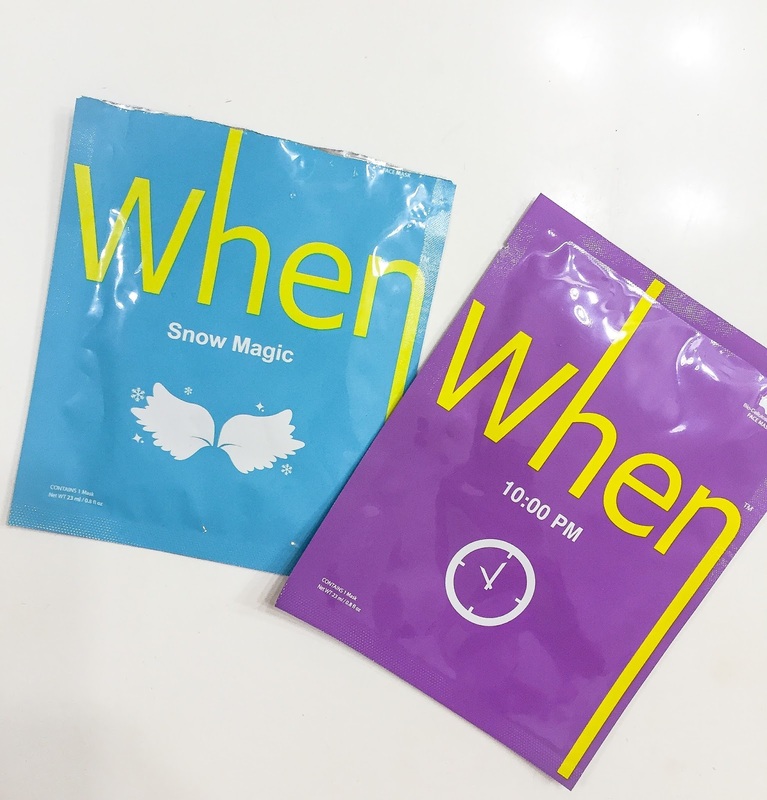 Similarly to Snow Magic, 10:00 PM has ginseng and hyaluronic acid, but it also contains collagen & watermelon extract to help improve elasticity. Watermelon extract sounded so great, I don’t think I’ve used any type of mask with this ingredient before, so that was nice & new. Once again I was very impressed with the look and feel of my skin after using this When face mask. My skin felt so soft, hydrated, and fresh looking. 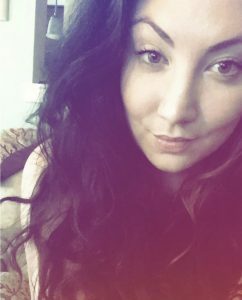 I felt I looked alive again, which is just what I was going for…see ya later tired skin! When is sold at Sephora & Ulta, so go check out their line of sheet masks next time you’re out shopping, at $7 each, they seriously do not disappoint! !